You can be the safest driver in the world and still be in an accident. They’re an unfortunate reality for drivers. 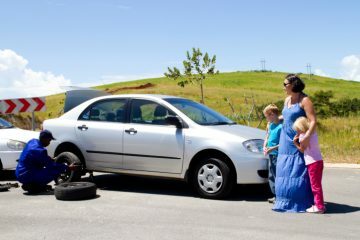 If you’re ever involved in an accident, here are four things you need to do immediately afterwards (and one thing you should do before you ever hit the road). Before you drive anywhere, you need to make sure you’re prepared for any possible accidents. That can include keeping cones, a warning triangle and an emergency flare in your trunk to make traffic aware of what’s happened, or it could be as simple as keeping a pen and a record of medical information for you and your family in an accessible place. Don’t leave the scene, whatever you do. Check yourself, your family and other parties for injuries, and call an ambulance if necessary. If someone’s injured, don’t move them unless not doing so would be hazardous. Use your hazard lights, cones, a warning triangle or an emergency flare (or some combination) to alert traffic and get help. Move the car if you’re able. Make note of damage to your vehicle and other property, and call your insurance. 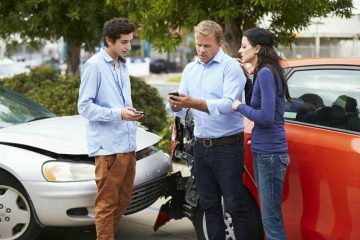 If no one’s seriously injured, exchange insurance information with other parties involved. Record everything you can, including: names, numbers, addresses, license plate numbers and the basics of their insurance. Do not, under any circumstance, admit fault. You may think it’s the polite thing to do, or you may truly believe you’re to blame. It’s too soon for you to know for sure, though, and what you say immediately after an accident can have consequences for later. 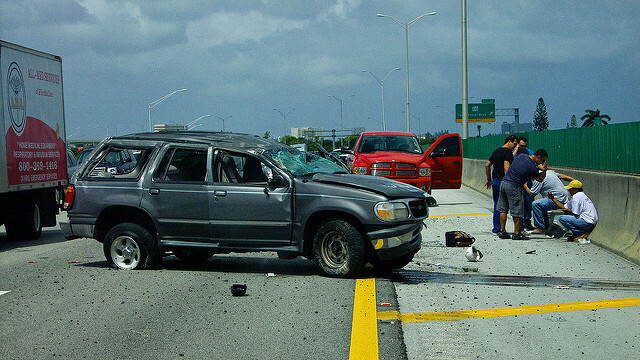 If there’s significant damage or injury (or death), alert the police to the situation. Ask them to file a police report, and get their names and badge numbers for your records. Don’t admit guilt in this situation, either. If you or a loved attain a serious injury, schedule a consultation with an experienced attorney. Your insurance company may offer compensation, but given that these types of injuries can take time to fully show up, it’s best to protect yourself via a lawyer. Many of these attorneys only receive their fee if you’re awarded damage or a settlement. Driving’s always unpredictable, no matter how safe you are, but if you prepare for the possibility of accidents, you’ll ensure you’re protected, both physically and by law.